1. Q: My doctor says I have very low ovarian reserve, with AMH test results at 0.1ng/ml. Is there any hope for me to conceive naturally with my own eggs? Please help me, I am 43 years old, soon to be 44. A: I certainly want every woman to have hope! What we know is that science has proven that fertility and egg health begin to decline rapidly around the age of 40 and after. AMH (Anti-Mullerian Hormone) levels also naturally decline with age. It is universally believed that an AMH level of less than 1ng/ml is indicative of decreased ovarian reserve, meaning the number of eggs present may be low. This, however, does not mean that the quality of the eggs that remain is also low. It is still possible for some women in their early 40s to conceive naturally with their own eggs, but no one has the ability to estimate the chances of achieving or sustaining a healthy pregnancy at any age. Since we know the chances of conceiving naturally with our own eggs after the age of 40 (this increases with each year we age) are lower, we find it is always a good idea to have a time frame in which you are willing to try to conceive with your own eggs. During the time you are trying on your own, you may also want to create a “plan B”, where you consider and plan for alternatives such as IVF with your own eggs or with donor eggs, which may increase your chance of achieving pregnancy. 2. Q: I have been trying for a baby for the past 3 years. I am 36 years old and I just went to see my OB/GYN to see what may be the problem. She did hormone testing and the only thing that came back of concern to her was my FSH which was 17 and AMH was 0.7. What does this mean? Am I in menopause? She said my egg health is low. Is there anyway I can improve my egg health? I really want to have a baby. Any help is appreciated. A: Many doctors believe that FSH levels higher than 10-15 mIU/mL when the test is done on the third day of a menstrual period may indicate diminished fertility, poor egg health or low ovarian reserve (indicated by low AMH levels). These hormone levels do not indicate menopause. It is important to know that follicle stimulating hormone (FSH) levels fluctuate throughout a woman’s menstrual cycle. According to the National Institutes of Health, normal FSH levels for menstruating women range should range from 4.7 to 21.5 mIU/ml (keeping in mind that normal ranges may vary among laboratories) during the follicular and luteal phases of the menstrual cycle. FSH levels should be between 30 and 50 IU/L mid-cycle right before ovulation and will naturally be higher in postmenopausal women, in general at 60 IU/L or more. It may help to reach back out to your OB/GYN and ask why these test results concern her. High or low levels of FSH, in relation to the time of your cycle when they were run, can indicate an imbalance or fertility health concern. We feel that the health and current state of the endocrine system needs to be looked at first when egg health is a concern due to low or high FSH levels and decreased AMH levels. Herbs, nutritional supplements, and natural therapies are best able to support the body when stress is managed and a healthy weight is being maintained through a healthy, whole food diet and moderate daily exercise. If you’d like help in creating a well-rounded, holistic, fertility health program made specifically for you, consider a Fertility Consultation. 3. Q: I am 35 years old and my doctor wants to run an AMH test to see what my ovarian reserve is. Is this necessary at my age? A: It may be helpful to know your AMH levels if you have been trying to conceive for a year without success and suspect infertility, anovulation, you are dealing with a fertility health issue that could impact ovarian health or function (like ovarian cysts or PCOS), or have had recurrent miscarriages. Each woman has a dormant pool of eggs (follicles) in her ovaries, from which one is chosen to mature each menstrual cycle in preparation for ovulation. These eggs are surrounded by cells that produce the AMH hormone. AMH testing is, as you know, used to determine ovarian reserve, or remaining egg supply. A higher AMH level indicates a larger egg supply and hence good ovarian reserve and poor ovarian reserve means there is a smaller egg supply. I AM 29 AND I HAVE LOW AMH OF 0.2 AND FSH IS 4…. I HAVENT HAD ANY HEALTH ISSUE MY WHOLE LIFE. MAY I KNOW IF THEIR IS TREATMENT TO CONCEIVE NATURALLY? The focus will be on supporting overall hormonal balance, but more over on supporting egg health and getting to know your cycle so well that you can pinpoint the exact day of ovulation each cycle, as well as on naturally boosting overall fertility health. There is a lot to learn and hopefully through the guides we share, some things will resonate with you. My AMH value is 1.8 according to a recent report. My age is 32 and I even underwent through an IUI cycle last month but it failed. Most doctors are advising IVF now but me and my husband cannot afford it at present. My other reports are normal. Is it possible to conceive naturally? Please let me know as I am really depressed. I am sorry you are depressed, but I want you to have hope! If it may be helpful in having a natural fertility program created for you, we offer Fertility Consultations during which you get to work one on one with a Fertility Herbalist. Hi’ Thank you for this platform, please suggest i have AMH valu 0.02 and FSH level 76 it was done before my menstrual cycle, as my periods have become irregular therefore could not understand the difference of when to do the amh and fsh test. My doctors says to get pregnant by a donor, but i would like to get pregnant by my eggs, therefore please help me knowing what are the possibilities of increasing the eggs to get pregnant. i am ready to do all types of hardships in regards, to diet , exercise, medicines, injections etc.. please help me to understand if i do these things can situation favor me. We know as women age, they can support the health of the eggs they have remaining with natural therapies, diet and a healthy lifestyle. These are not hardships, rather very beneficial changes to make to help oneself be of optimal health and to make being healthy a lifestyle. Try to stay positive and learn about all that you can do! I am 42, my amh is 1.3, my FSH is 3.86, LH is 4,48 and Estradiol 96.0 taken on day 6 of my cycle.Does it means I am close to menopause? I recently started to try get pregnant but still nothing. Have I hope to get it natuarally? Do talk to your doctor about what these results mean for you. im 29 & had a history of endometriosis since 2013 & am trying for 1.5 years to get pregnant. however last year i took care of my health & diet & when i visited my doctor who suggested to freeze embryo’s (due to low amh of 1.3 and endometriosis )and go for laparoscopy, she didn’t find any endometric/other cyst and was surprised.we did the embryo freeze anyway and i got 11 grade A embryo’s which i transferred 3 of them freshly (3 day old) but was negative with my healthy uterus and a normal HSG.Does the process of egg retrieval reduce the amh? my naturally cycle last month had a 19mm egg/day 12 which realized on 14. OBGYN suggests for Hysterescopy & laproscopy but i dont want surgery. That you had such outstanding results from the changes you made is awesome! Keep up that great work! I am sorry however that transfer didn’t go as hoped. Did your doctors give you an ideas about why? I do not know the process of egg retrieval to lower AMH. Age, obesity, use of birth control (particularly long term) are things that cause AMH levels to decrease or be low. And while AMH is not known to fluctuate through the menstrual cycle, there are some women to see slight variations in the follicular phase approaching ovulation. I am not a medical doctor, but I am curious if you had a 19mm follicle on day 12, why another hysteroscopy and laparoscpy are needed. Consider asking why if you do not know. It seems perhaps better to help you learn to track ovulation at home so that you can maximize chances of conception. Do you track ovulation in any way now, other than doctor’s monitoring? I am 30 years old and went through chemo for breast cancer last year. My AMH level is now .07; my OBGYN said that she would not bother trying to conceive naturally and would skip ahead to my frozen eggs. Are the chances really that low that I shouldn’t even try? I don’t mind having to do IVF, but I dread the process and cost! Thanks! AMH measures ovarian reserve or the number of eggs in the ovaries. It is best to have AMH levels tested and an ultrasound to physically count follicles. While having a low AMH may lower the number of eggs, it does not lower the health of any that remain that could still be ovulated (although the chemo may have harmed the remaining eggs’ health. I am sorry you have been faced with this worry! I do hope you are well and cancer free though! Hi I am 30 years old and not trying for a baby at the moment. Could you please offer me any advice? First, do talk to your doctor about what these test results mean for you. Then if you learn there is an area of concern, and you wish to address is naturally, we are here to offer continued support. I am 38 years, I had my baby in May 2017, though i lost him and I have been trying to conceive all to no avail. I have not been noticing the cervical mucus but my menstrual period changed from 28 days circle to 30 days. what do you recommend for me?. Having a 30-day menstrual cycle is not cause for concern. Do you have a regular period that lasts around 3-5 days, with few clots and bright red bleeding? Do you know when you ovulate each cycle? To learn more about naturally supporting healthy cervical mucus production, this guide will be helpful: Increase Cervical Mucous to Get Pregnant. I want to conceive. I have been starting using the natural ingredients and cleansing my body as well. Eating all types of dark greens. In my genes no one had to do this method, no matter what age they were. I don not have money for IVF, I don’t want carry someone else egg in me, I don’t want have a different donor from someone else. Anyways I cannot afford any of these above due to my insurance doesn’t pay for it and I am over the policy age level for the insurance. Please can you guide me the way by still taking the natural products? I just got results that my AMH is 0.28 ng/mL. I am 30 years old and I’m not ready to get pregnant now, I just wanted a preliminary gauge..a heads up if I need to be in a rush or freezing eggs or something. After googling, I’m seriously concerned. My OBGYNs assistant spoke to me when I called, but explained practically nothing. 0.28	ng/mL is REALLY low for a 30 year old, yes? I have an IUD, could that have had an effect?? Should I be saving money to freeze my eggs so it’s not a race against the clock? Thank you in advance for any guidance you can give me! I am sorry you are worried! An AMH under 0.30 ng/ml is considered very low, yes, but that does not mean chances of having a baby are completely gone. I know it’s hard, but try not to go there. Focus rather on all that you can do to support hormonal balance and healthy AMH levels, make changes and allow them time (at least 3 months, but 6 months to a year), pursue follow-up testing and then revisit the next step. Following a natural Egg Health Program benefits egg health and may help support normal AMH levels. Explore all of your options and don’t give up hope after one test! Greetings from Malaysia. I am 26 y/o and have a below AMH Levels 5.99 and narrowing & beaded Fallopian tube on my right side. Before i got married, I already faced with irregular period cycle since high school. I’ve been taking clomids for 6 times and no good news. Is it possible for me to get pregnant naturally and is there anything I can do to get my AMH level back to normal? I am sorry you are faced with these challenges! It is going to be most helpful to understand why this is happening for you. Has your doctor mentioned why he/she thinks your AMH levels are where they are? Often AMH levels above 3.0 ng/ml are considered high and linked to PCOS which is polycystic ovarian syndrome. There are other markers of PCOS that can be tested for. If the reason was PCOS, it is very important to address diet and lifestyle first and then consider natural therapies. Clomid alone will not address the underlying hormonal imbalance. Environmental toxins, poor food choices, lack of circulation, free-radicals, stress, hormonal balance, illness, injury, genetic factors, autoimmune disorders, etc. all impact hormonal balance and fertility health. So, while you learn why this is happening, a great place to start can be the tips in our guide Top 10 Natural Fertility Boosters. I hope this is all a helpful place to start! my amh is 0.14 . age 28 is it low. 1 years what about chances of pregnancy. plz tell me. I hope you found this Q&A helpful! I hope this helps too! Hello Dr. I m 34 year.my AMH leval is 1.59 ng/ml. So Dr.through Ivf is it possible i m pregant is my on egg.so plz explain what about chance of pregnancy.my histroscopy is good. First I must share that I am not a doctor and we do not have a doctor on staff. Most doctors feel that an AMH is considered normal if over 1.0 ng/ml, but under 3.0 ng/ml. Were you told that your reading is low? I can not know success rates for IVF for you. What I do know is that there are very attainable ways to naturally prepare for IVF should you choose that route. We share more in our guide How to Increase Your IVF Success Rate Naturally. my amh is 1.44 . age 30 is it normal. what about chances of pregnancy. plz tell me. In general doctors feel a normal AMH level is over 1.0 ng/ml, but not higher than 3.0 ng/ml. It would be good to talk to your doctor about what your test result means for you. I can not know or quantify chances of conception for anyone, even if not battling infertility. Whith an AMH level in the normal range, if you are is good health and not battling any chronic health or fertility issues, one would hope changes are good! I hope so for you! Hi, my age is 30 and my AMH level is 1.67. we have tried IUI process 3 times but it got failed. Also we have tried IVF with my own eggs but even the IVF got failed. Now our doctor has suggested that we need to get donar’s eggs for the preganancy. Kindly advice if there are no chance of pregnance with my own eggs. Please let me know as I have struggled a lot for having my own baby since last 2 years. I am sorry to hear of this challenge! We want you to have hope! I wish I could know if you will be able to conceive on your own, or offer odds. There is no way of offering a guarantee or of me knowing though. What I do know is that we have had clients commit to dietary and lifestyle changes and succeed at achieving their dreams of becoming a mother (both naturally and through medical fertility treatments. So, consider the information we offer in our guide AMH, Ovarian Reserve, & Continued Follicle Production and perhaps also working one on one with a fertility herbalist through a Fertility Consultation. 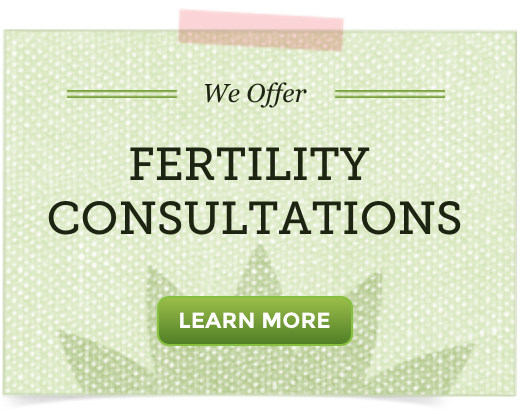 To learn more or book a Fertility Consultation, click on this link: http://www.naturalfertilityshop.com/product-p/fc2.htm. 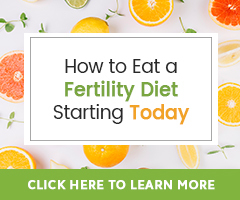 It will be helpful to learn about your overall and fertility health to approach creating an entire natural fertility program for you from a holistic perspective. A Fertility Consultation allows for this. me and my husband have been trying to have a baby for over a year i am 25 with two children already and he has two. i went for a check up and everything was normal besides my amh which was 1.2 will i still be able to get pregnant. Thank you for reaching out for support. I have some questions. – Were you told that this AMH is low or high? We know that a normal AMH is generally over 1.0 ng/ml, but not more than 3.0 ng/ml. – Do you know when you ovulate each cycle and are you actively trying to conceive around and on that cycle day? – What did the check-up entail? Hi im 29years old and my AMH level 1.0, LH level is 0.54 and FSH is 0.62 is there a chance for me to concieve naturally also is there any way to increase or improve these results? I certainly do want you to have hope! There is simply work to be done. Do you know what has led to these hormone levels for you? The very best way to receive a full plan designed specifically for your fertility health needs is to have a Fertility Consultation. As you contemplate this experience, it may be very helpful to begin making dietary and lifestyle changes to support fertility. Consider also learning about our 90-day egg health program.